Tune-up your aural skills! Perfect for music students who need to study for music theory/aural skills classes. 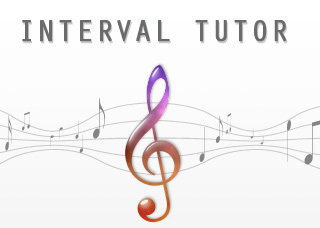 Interval Tutor is a quiz-based app which helps you practice the basic musicianship skill of recognizing musical intervals. Practice intervals from the unison and minor seconds all the way up to the perfect 12th! Good luck with your music theory studies! Brought to you by AiMusic, LLC.